We’ve all done it. We’re just walking by and, out of nowhere, it happens. Gum. The simple thought of stepping in gum on the sidewalk can be enough to irritate some people. Don’t risk losing valued customers over a gum and debris covered sidewalk. Instead, call our professionals for all of your concrete stain and gum removal throughout Waco and Temple, TX. Our cleaning technicians will remove all gum and debris while eliminating stains and black scuffs to reveal a bright, like new luster. To learn more about our concrete stain and gum removal service in Waco and Temple, TX, call our experts today at 254-716-8685. Our larger machines can even enact this work across the wide expanse of a parking lot. Thanks to our investment in quality employees and equipment, we can complete parking lot jobs with little disturbance to your business. Furthermore, we complete work on your schedule, not our own, to lessen stress and avoid the alienation of customers. We can additionally perform concrete stain and gum removal services along with our general maintenance for parking lots. Your sidewalk can be a valuable component to the style and feel of your business. However, when its stain and gum covered, it can give a negative tone to your whole establishment. Don’t let a dirty outside affect your business inside. Our professionals work diligently and efficiently to ensure a comprehensive cleaning with quick completion. We can remove all gum, stains, marks, and even paint from your sidewalk to bring back the original brightness of the concrete and offer restored beauty and grip. Don’t settle for gum and stain covered sidewalks and parking lots that make the outside of your business look less than appealing. When you want a fresh, new feel to the exterior of your building, our concrete stain and gum cleaning service may be the ideal solution for you. Call our pressure wash consultants today at 254-716-8685 to find out more about our services for concrete stain and gum removal in Waco and Temple, TX. 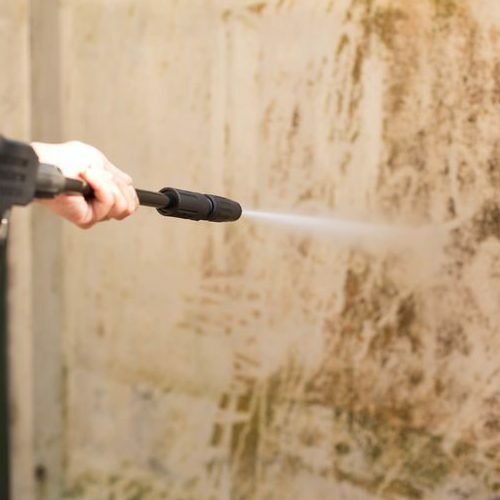 Whether you have stains on your driveway or gum on an exterior wall, we are able to help you.